Yum! so cold, refreshing and creamy! This recipe is originally made with a very soft cake known in Brazil as “pão de ló” which uses a lot of whole eggs and a mousse primarily made with raw egg whites. I wanted to reduce the amount of eggs so I changed the cake for an American cake known as “angel cake” made with only egg whites and a mousse with no eggs at all. 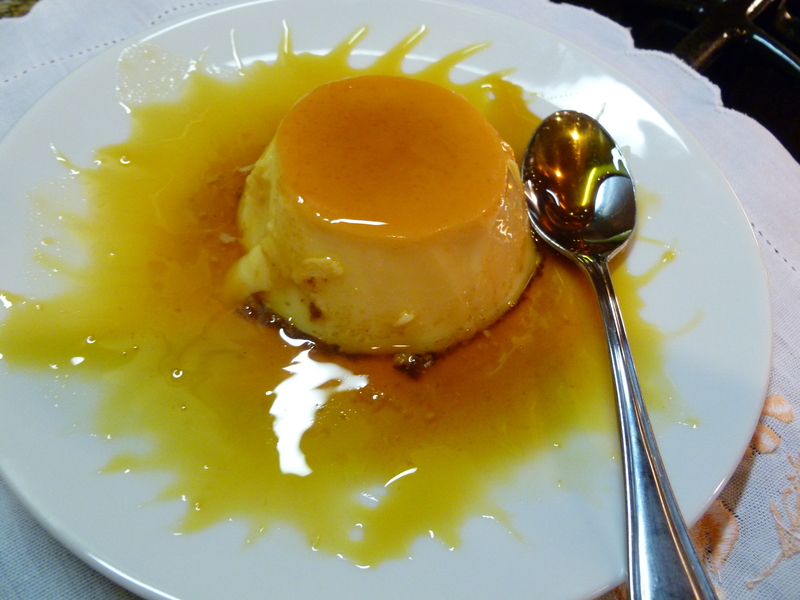 In a large glass bowl whisk condensed milk and lemon juice set aside. 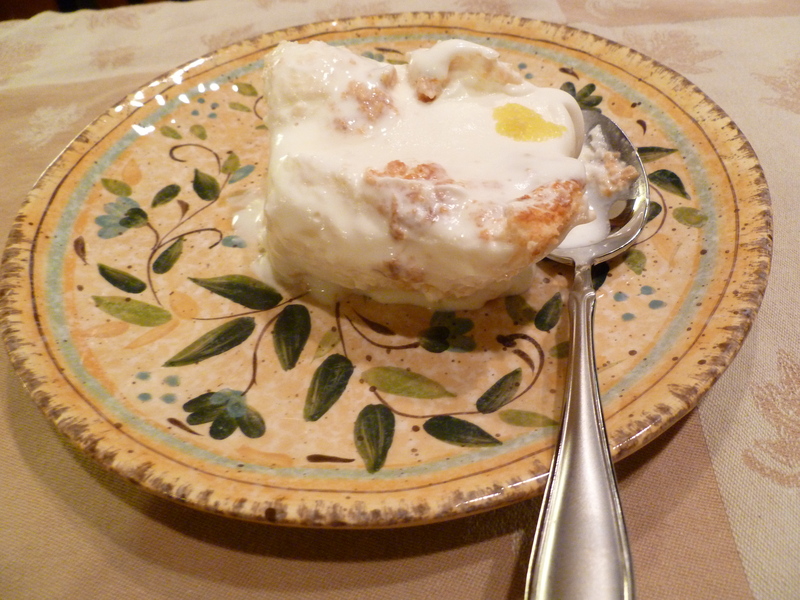 Whip cream in a food processor, then slowly fold it into condensed milk mix . Cover bowl and set it in freezer for 1 hour or until cake is cooled. Sift cake flour and 1 cup sugar. Set aside. Beat egg whites, salt and cream of tartar until foamy. Slowly add 1 cup of sugar and lemon extract. Pour dough in a large rectangular glass or ceramic dish. Bake for 30 minutes. Remove from oven and let it cool for 30 minutes. 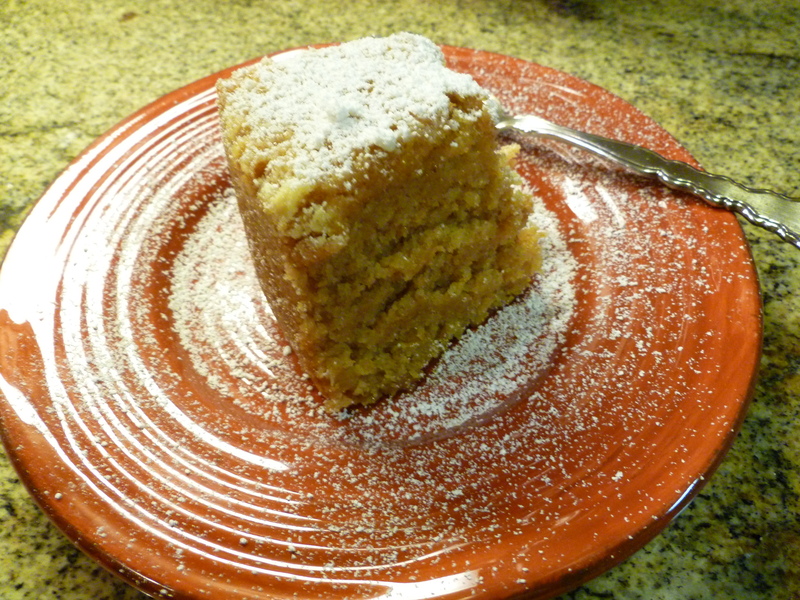 Once cooled, loosen the sides with a knife and place cake on a board. Cut in slices about 1 inch thick. Mix limoncello, half and half and sugar in a shallow bowl. 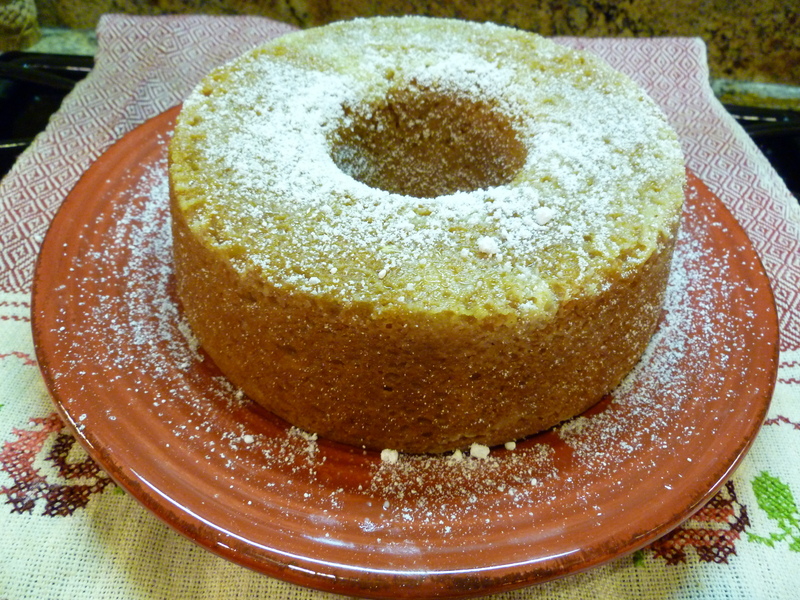 Dunk slices of cake one by one in limoncello mixture and place on the bottom of a large rectangular glass or ceramic dish. Spread half of the mousse on top. Make another layer of cake slices dunk on limoncello and spread the rest of the mousse on top. 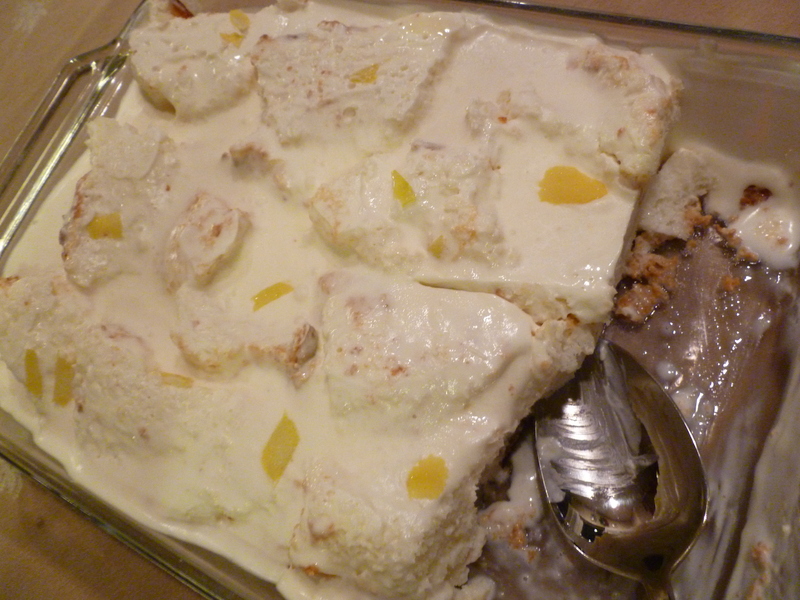 Sprinkle lemon zest, cover and place dessert in freezer for at least 4 hours. When ready to serve, let it stand for 10 minutes before cutting. Enjoy! Brazilian Coconut and Caramel Swirl Cake. 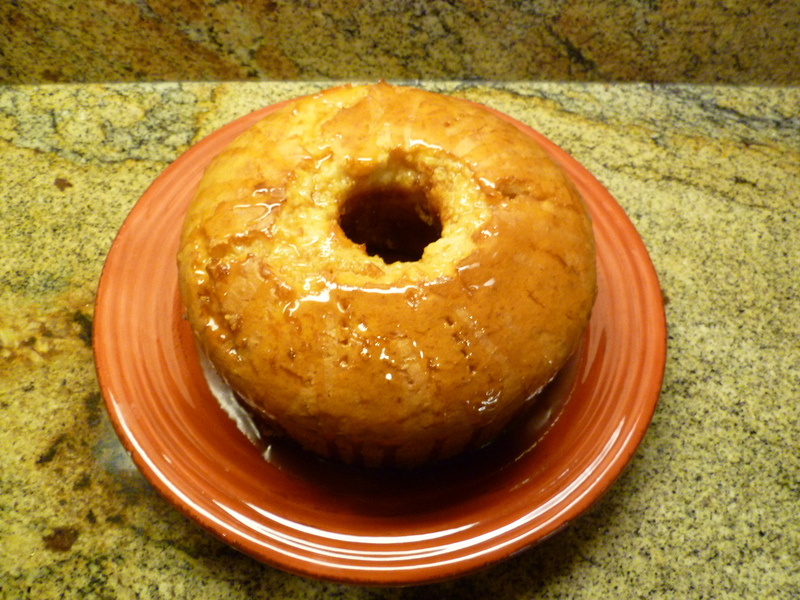 In Brazil this recipe is called “Bolo de Coco com Baba de Moca”*. It literally means, “Coconut Cake with Young Woman’s drool”. I know it is a strange name but maybe it has to do with the fact that a young woman is sweet? I don’t know for sure! Anyway, I always had trouble making cakes from scratch in the US it never seemed to work until I found the wonderful American cake mixes. 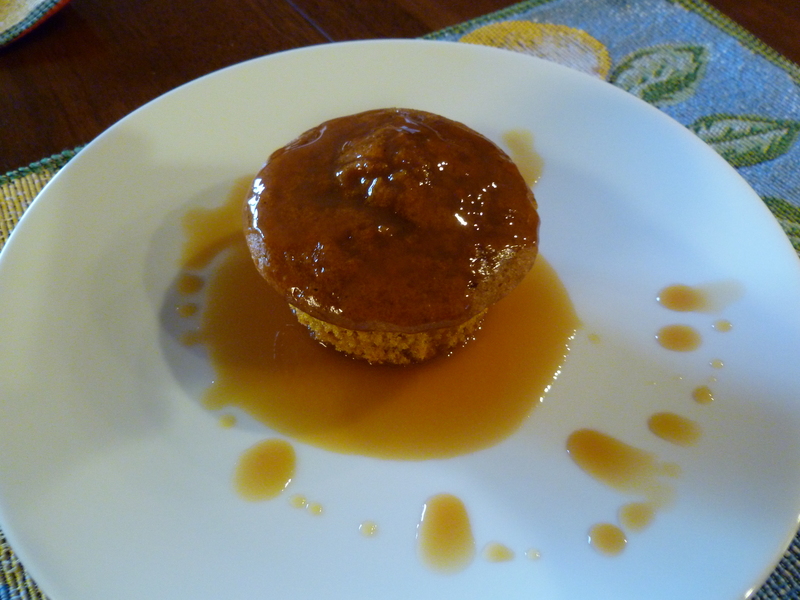 It works perfectly every time and the combination of coconut and caramel makes all the difference. The flavors are great together, you would not guess it started from a box. 1 Pkg of your favorite brand of white cake mix. 1 Can of coconut milk ( shake well). 1 Cup of shredded coconut* optional. 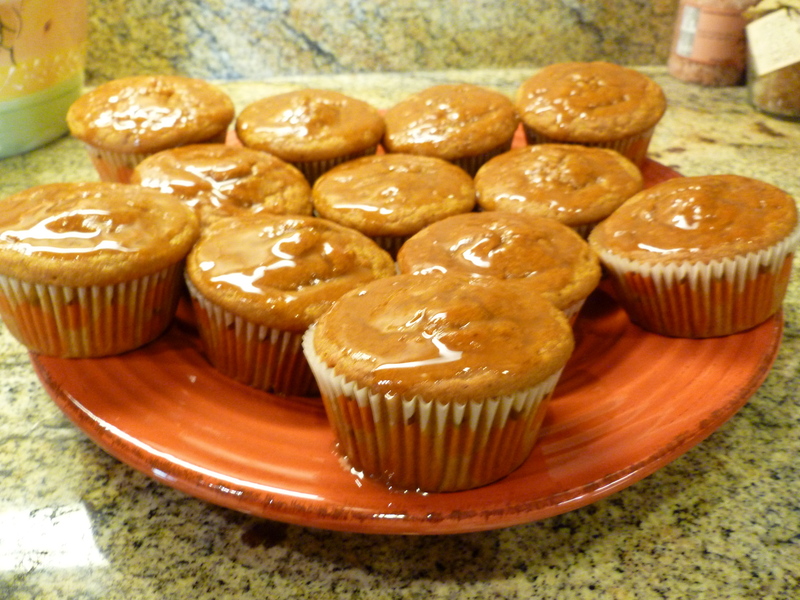 1) Heat oven to 350 F. Grease a flute cake pan or arrange cupcake molds, whatever you prefer. 2) Prepare cake according to package directions but substitute the water for coconut milk and save the remainder for the syrup. Add coconut extract and bake cake according to package directions. 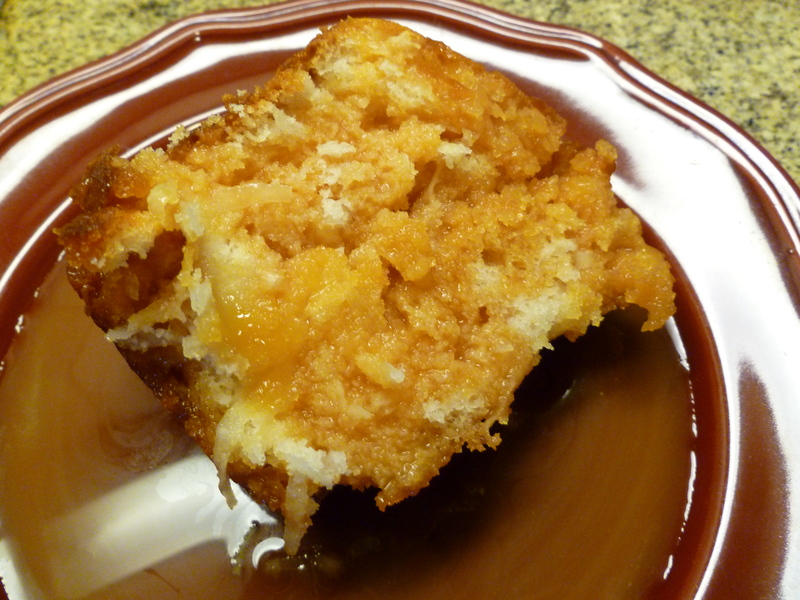 3) While cake is baking, melt sugar in a sauce pan over medium heat stirring constantly until caramel color. Add hot water and reduce heat to low, keep stirring until there is no candy sugar formed. 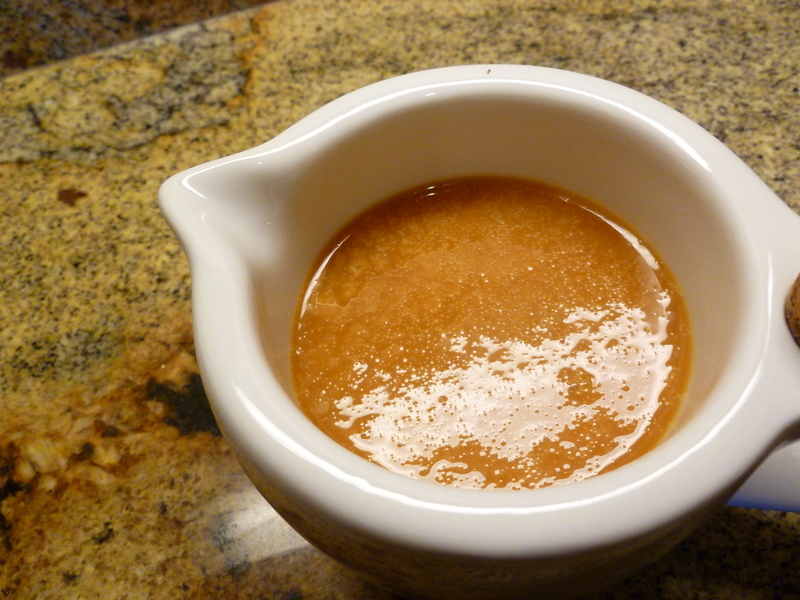 Then add the remainder of the coconut milk and keep stirring over low heat until forms a syrup. Pour in a glass container and set aside to cool. 4) When cake is ready, go over the sides with a knife to loosen if using flute pan and set aside to cool. If doing cupcakes just set them aside to cool. Meanwhile, place coconut caramel syrup in refrigerator for 30 minutes. the syrup has a tendency to separate so mix it again with a spoon as needed. 5) When cake is cooled, flip it over with a help of a plate, swirl the coconut caramel syrup on top saving some to add to the slices on a plate. * I would like to apologize to the Portuguese speaker since I could not find a way to correctly spell ” Bolo de Coco com Baba de Moca”. I don’t have the Portuguese language characters in my computer and there are a few accentuation missing that can change the meaning of words.